Home | Home Wise! Family Smart! Pantry pests are the name given to insects, usually beetles and moths, which tend to infest stored food products. Many food-processing plants and supermarkets struggle with controlling these types of pests, but they can also become problems at home. One of the most commonly reported pantry pests in the United States is the Indian meal moth. Indian meal moth adults are ½ inch long with a wingspan of 3/4 inch. They can be distinguished from other moths by their two-toned markings on their wings, which are whitish-gray closest to the head, and reddish-brown with a copper luster on the end of the forewings. Indian meal moth. Photo by Jim Kalisch, UNL Department of Entomology. I get a lot of requests to identify specimens from photos. Emailing a photo of a pest sample rather than finding a container, catching it and bringing it into our office can save considerable time for our clients in the community. If you are able to send me a good photo accompanied by some details of the situation, it can save me considerable time too. A good photo is one preferably in focus, one which includes some identifying characters of the pest. This can be as simple as the overall shape or as detailed as the presence or absence of wings, hairs, pits, segments or clubs on a specific body part. With spider identification, it is helpful to count the number of eyes and note the eye arrangement on the cephalothorax in order to positively identify the family. Boxelder bugs aggregating on the south side of the house and trying to get inside around the windows. Photo by Jody Green, Nebraska Extension in Lancaster County. Some pests are considered seasonal or occasional pests and their grand entrance into your house in the fall may go unnoticed, but they are not accidental. Overwintering pests require a protective place to spend the adult stage of their life without freezing to death. They normally require a winter habitat between 40-50°F for hibernation. In the fall, large populations congregate on the warm, sunny side of the structure, usually the southwestern facing exterior wall and begin moving upward to find a gaps that leads inside. 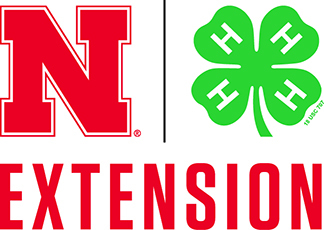 Enjoy this blog post from the Nebraska Extension Learning Child Team and share your money-saving tips! Does your lettuce turn to mush? Mushrooms start to grow fuzzy? Do your bananas blacken before your family can eat them? In the US, the average family of four, loses $1,500 each year to food it has to throw out. This is like tossing one bag out of every four purchased at the grocery store. Food is a necessary expense but there are ways to save money. Check out these tips! Keep a grocery list where it’s easily accessible, such as on the fridge, and take it with you to the grocery store. Always shop with a list. Stick to your list for added savings, but do stay flexible if you encounter a sale. Gas for an extra trip to the store easily can add a dollar or more to your grocery bill. And the less you shop, the less likely you’ll buy something on impulse. Fresh cut or purchased from a florist, you can extend the life of fresh flowers by following a few simple steps. I plant plenty of flowers and herbs in my garden and landscape. There are some for the bees and some for me. This time of year, I love going out early in the morning and cutting a few flowers to put in a vase. I’ll even clip a sprig of one of my fragrant herbs to include in my little arrangements. To learn more about extending the life of cut flowers, visit “Extend the Life of Cut Flowers” from Nebraska Extension in Lancaster County.